Jellick Elementary School - Winner of CA Golden Ribbon, Title I Academic Achievement Award, and PBIS Bronze Medal Recipient. 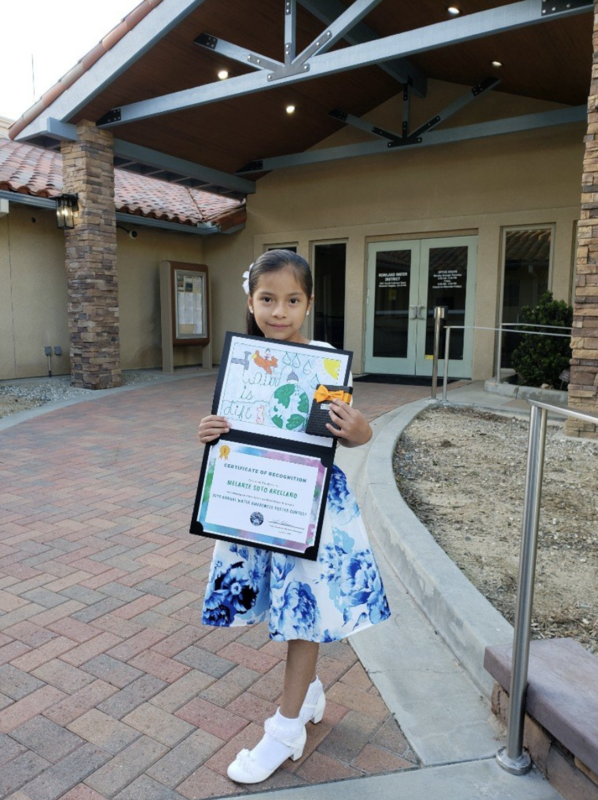 Congratulations to our first grader Melanie Soto Arellano! 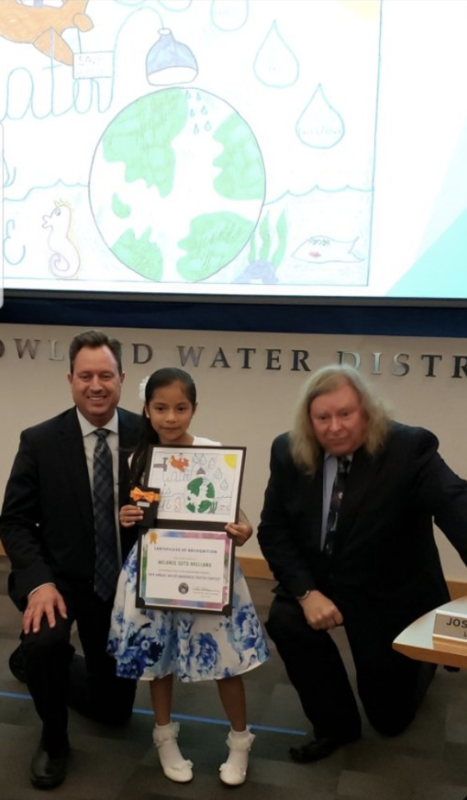 She is the 1st place winner in the Rowland Water District Water Poster Contest in K-3 in RUSD!